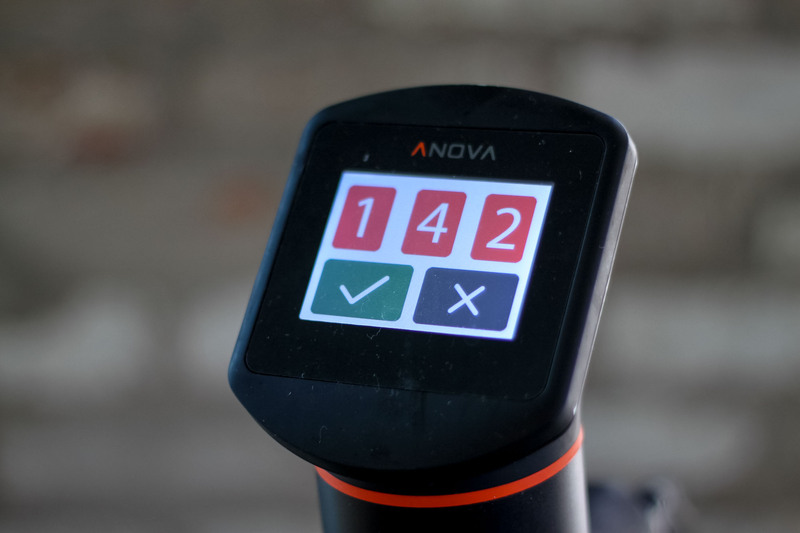 Set the Anova Sous Vide Precision Cooker to 142°F (61°C). Combine the veal shanks, tomatoes and their juice, beef stock, onion, celery, carrot, red wine, bay leaf, 2 teaspoons salt, and 1 teaspoon pepper in a large zipper lock or vacuum seal bag. Seal the bag using the water immersion technique or a vacuum sealer on the moist setting. Place in the water bath and set the timer for 48 hours. Cover the water bath with plastic wrap to minimize water evaporation. When the timer goes off, remove the bag from the water bath. Remove the veal shanks from the bag and transfer to a foil-lined broiler-safe baking sheet. Reserve the liquid and vegetables in the bag. Heat the broiler to high. Broil the shanks until golden brown, about 5 minutes. Transfer to a plate and keep warm for serving. Meanwhile, transfer cooking liquid and vegetables from the bag to a large saucepan. Skim off any accumulated fat. Bring the sauce to a rapid simmer over medium-high heat. Continue to simmer until the sauce thickens enough to coat the back of a spoon, about 10 minutes. Season to taste with salt and pepper. Serve the sauce with the veal shanks, topped with gremolata (see note).